No install­ment in any of the annual increments by which we most reckon the passage of time, is ever com­pletely without tri­als and tribulations. That is why as human beings, as so­cieties, as nations, we always welcome the New Year with ex­pectation and excite­ment. It is a chance to recover from ad­versity in the preced­ing twelve months, to do better and be better. The ageless ritual of ringing out the old and ringing in the new, is thus em­blematic of the eter­nal capacity for hope and renewal. And this, in turn, is part of God's legacy to the Race; to all thinking, sentient creatures that believe in Him. But while last year was, like all oth­ers, not without dif­ficulties, they were small ones. Indeed, given the global situa­tion; given the contin­uing fiscal, debt and joblessness problems of the US; and given the absolute crisis in which Europe contin­ued to be engulfed, economically our country did well. And a look at the numbers will serve to confirm what, in all the cir­cumstances, is a per­formance for which we must give thanks. The Statistical Institute of Belize re­ports that for the first nine months of the year, our economy grew by 2.7% as com­pared to 1.8% for the same period in 2010. Last quarter growth is traditionally most robust, so that we are well on track to ex­ceed the overall 3% GDP increase for 2011 that I had predicted on Independence Day. This is a significant jump and will be al­most one full percent­age point above the 2.4% growth recorded for the previous year. When we look at the particular sectors that are most respon­sible for this picture of economic advance, the panorama is even more encouraging. Up to September it was the Wholesale and Re­tail Trade Sector that was one of the leaders, showing a 7.7% in­crease. And the Coro­zal Free Zone alone was responsible for a business rebound of 23% in improved year-on-year sales. Over the three quar­ters Hotels and Res­taurants grew by 2.1% as a consequence of a 3.3% increase in over­night tourists; and Transport and Com­munications went up by 2.5%. Construction was also 7.4% better. But it was Fishing that led all comers with a 14.5% hike. And while overall sugar produc­tion fell, ratios, quality and prices improved so that we are now poised for an outstand­ing new season. Final­ly, Inflation remained low at just over 2%. It is on the basis of all this that I can say that we were blessed in 2011. We easily out­paced 2010, and the story is even more re­markable if we go back to 2009. Then, we all remember, was when there was actual con­traction; when the fall­out from the world re­cession threatened to swamp us completely. The econom­ic success of 2011 meant that increases in export earnings, in­cluding in particular from crude oil, enabled Government to con­summate a great leap forward in cementing its social agenda. Job-creating infrastructure projects were imple­mented; educational and economic second chance opportunities were expanded; and the wind was fully in the sails of our signa­ture home improve­ment, food pantry and cash transfer programs. Our democracy was also in fine flow­er. We maintained our commitment to accessi­bility, transparency and accountability; and we continued our forward march to true national­ism by way of the Consti­tutional enshrinement of public ownership of our essential utilities. Perhaps most noteworthy of all, we succeeded-certainly since September when we forged the Belize City gang truce-in de­celerating the incidence of senseless murders in this country. The signif­icant reduction in the homicide rate for the last four months of 2011 as compared to 2010, is great progress. And it comes at just the right point, when too many were beginning to feel that there could be no rescue from the abyss. But the real pur­pose of this Message is to look ahead; to assure one and all that the in­herent promise and op­portunity of the New Year will not be forgone. Efforts will be strength­ened, commitments will be broadened, suc­cesses will be deepened. In 2012, as one example, the infrastruc­ture drive-and the jobs it brings-will scale new heights. The Jalacte Road in the South, the Blue Creek one in the North, the Macal River Crossing in the West, the comprehensive Be­lize City drainage and street works, will all be hitting full stride. The new Marion Jones sta­dium will be coming out of the ground, the new Civic Center will be rising from the rubble. The contract for the de­sign and build compo­nent of the Solid Waste Management Project, has also been signed; and it will see 14 mil­lion dollars spent be­tween January and July in Caye Caulker, San Pedro, San Ignacio and Belize City. And their delayed reha­bilitation and beauti­fication drive for the District Towns will now start by April, the World Bank assures us. A countrywide money contribution for working mothers will join the appren­ticeship, food subsidy and BOOST programs. And the drop-in cent­ers in distressed Belize City neighbourhoods will help with com­munity development, social recovery and violence prevention. Millions of dollars will continue to fund Government's home improvement and home repairs across the na­tion; and every single registered surveyor in this country has now been contracted to work on the subdivision of the 4,709 acres iden­tified by the Ministry of Lands for the alloca­tion of building lots to first time landowners. Our outreach to the poor and the mid­dle class continues. They, and indeed all Be­lizeans, will be helped by the lower electricity rates that I promised in September, and which are now a certainty. BEL, owned at last by Government and peo­ple, has already accept­ed, by way of its sub­missions to the Public Utilities Commission, that rates must come down. And the PUC may well reduce even more what has been proposed by BEL. The final decision will be on January 31, and the new, lower rates should under the current law take effect a few months thereafter. But we are a Government in a hurry to do good things. And the ease to the consum­er, the ease in the cost of living, the ease to business and industry and agriculture, can't wait. 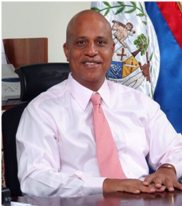 Thus Government will amend the law to implement from the very next day, February 1, 2012, this historic decrease in what Belizeans pay for electricity. But there is more that we offer by way of festal cheer. Unlike 2012, our vision of up­lift and opportunity and egalitarianism is not newborn. But the underlining of fresh beginnings that always takes place on January 1, provides a proper op­portunity for us to reas­sert our creed: that this Government's flame of social justice will never dim; that it will burn even brighter in the next twelve months. And our preoccupation with those at the margins, with those of fixed in­comes, low incomes and no incomes, has caused us to hit on yet another idea for New Year relief and assistance. Accord­ingly, I announce today that Government will purchase all mortgages of 50 thousand dollars and under, owned by the Belize Social Secu­rity Board. These num­ber 780 and have a total aggregate value of 17 million dollars. Gov­ernment will thereafter write off these mortgag­es, forgiving the house­holders all of their loan obligations, and putting that money at their disposal to spend on the economy and generate more activity. The notion of helping not just indi­viduals but businesses in this way, brings me to the last point I wish to make. In all that we do, Government can­not forget the private sector. There is need for an equal partnership, and we made the right start late in 2011. This must be consolidated in the year ahead. Gov­ernment is therefore, among other things, ap­pointing a Business De­velopment Facilitator in the Office of the Prime Minister to help oversee the new relationship. I close by referring once again to the rebirth of optimism that is the special province of New Year celebrations. All across the globe, this is an occasion for the re­kindling of inspiration. It is the annual re-start of the quest for human progress, of the alche­mist mission to turn even brass into gold. In the case of Belize, our resolution is to re-ded­icate and re-consecrate the crusade by which we build a shining, fair and just country. One that will be the envy of, and model for, the region and the world. Happy New Year everyone, and God bless Belize.